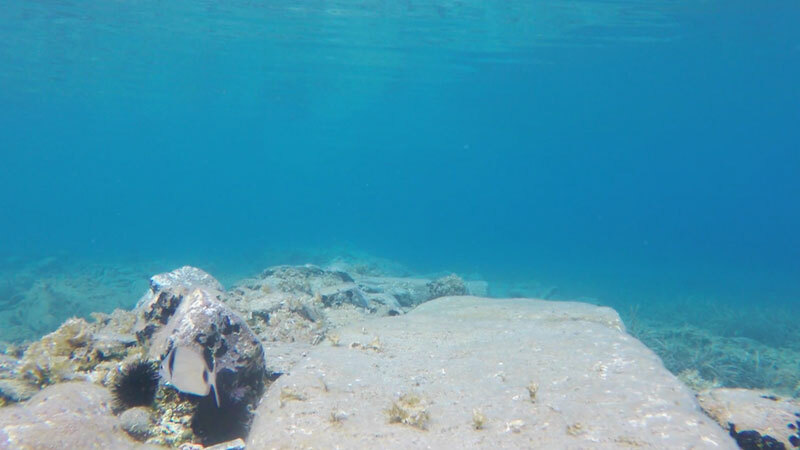 The feature video that was just put up on the front of SithoniaGreece.com is showcasing Toroni and snorkeling in the Toroni harbour. Toroni is a small, but popular destination on the southern tip of Sithonia in Halkidiki. The village has one of Sithonia longest and most attractive beaches, having been awarded the classification of a Blue Flag beach. The water is amazingly clear and a pleasure for swimming and snorkeling. The picturesque ruins of the ancient Lecythus castle from the ancient city of Torone is something quite unique in Halkidiki. The ruins also continue underwater in the harbour and are quite facinating to snorkel and explore. Enter the water at the point where the gate is to the ruins and swim along the coastline around the promontory. Under the boats you will find ruins of foundation stones that belonged to the ancient city. If you get the opportunity you can continue around to the other side of the peninsula and you will arrive in a calm bay where there are more large foundation stones that fell into the water long ago. There is plenty of fish, invertebrates and coral to enjoy and photograph. 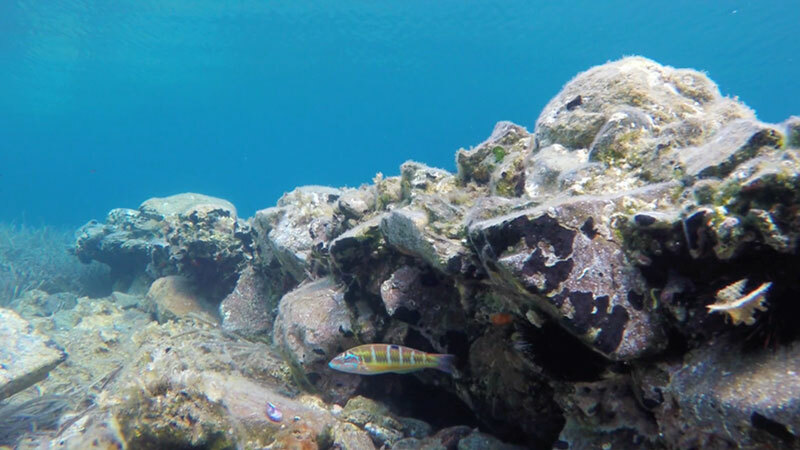 If you like to snorkel, we are confident that you will enjoy spending a few hours or more in the Toroni harbor.